It was my Hubby’s birthday and we had plans for the evening. But a birthday without a cake is never complete. So I wanted to make a hassle free cake with the ingredients that were handy. And tada……I came across this biscuit chocolate cake recipe and voila….am I not glad I made this. . I was a little skeptical before trying this recipe due to the large amounts of biscuit that goes in it. But hey, that doesn’t seem to affect the taste at all. 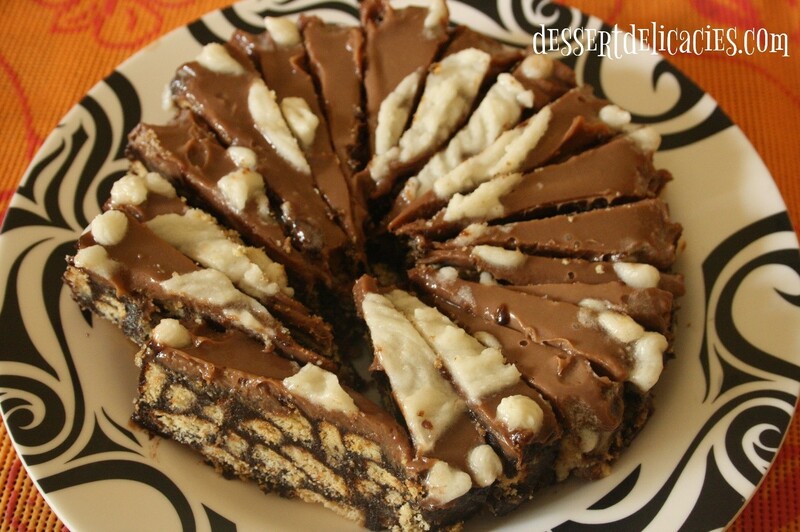 Just give this no bake easy biscuit chocolate cake a try. No oven, no electric beater – nothing to worry any more. Prep time: 30 mins; Cooking time: 5 mins. Roughly crumb the biscuits with hand and keep aside. 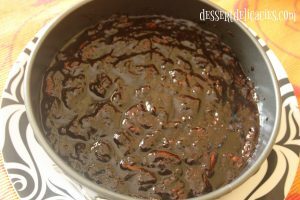 Mix sugar and cocoa powder. To this add water and whisk till there are no lumps. Add butter to the sugar cocoa powder mix. Bring this mix to a boil and let it stay on the heat for about 5 mins. 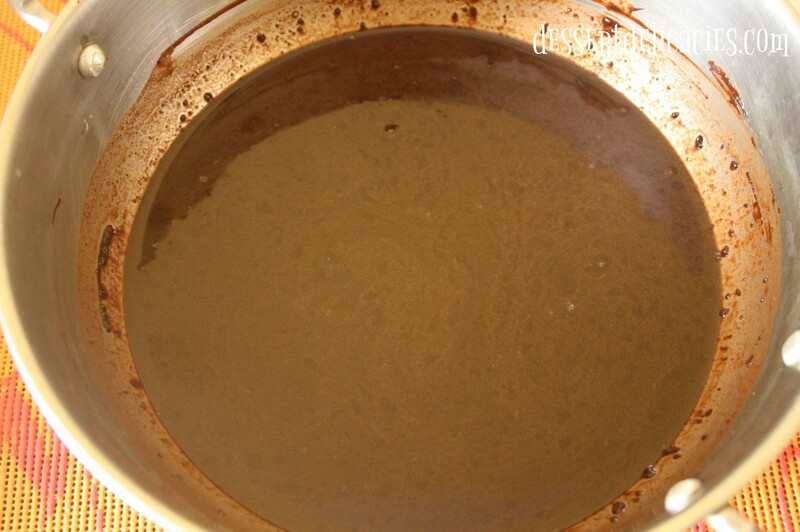 Take the pan off the heat and let it cool to room temperature. Add this batter to the biscuit crumbs. 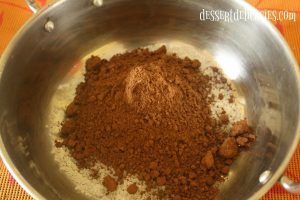 Mix well till the biscuit crumbs are coated with the cocoa solution. Now even out the biscuit surface. Keep refrigerated for 1 hr. Meanwhile heat up the whipping cream and mix with the chocolate bars. 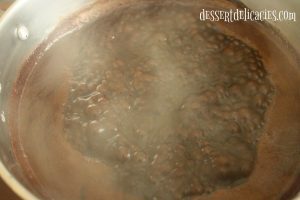 The chocolate should completely dissolve in this hot cream solution. 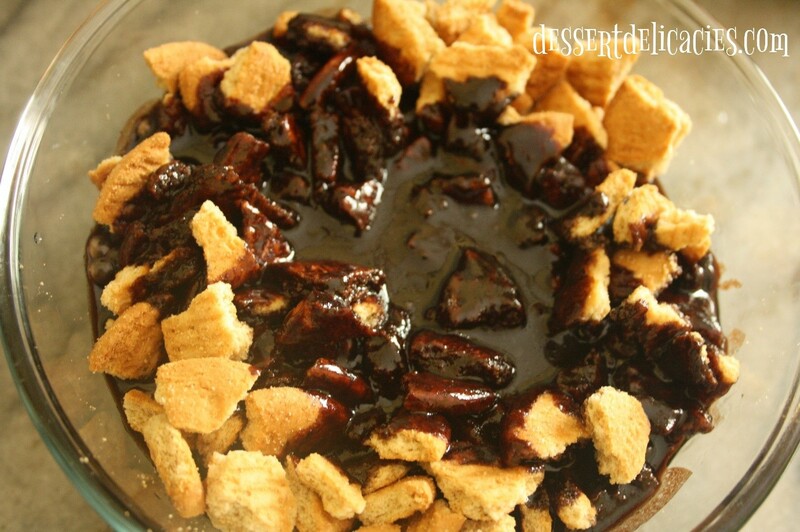 Pour this chocolate mix on to the biscuit surface. 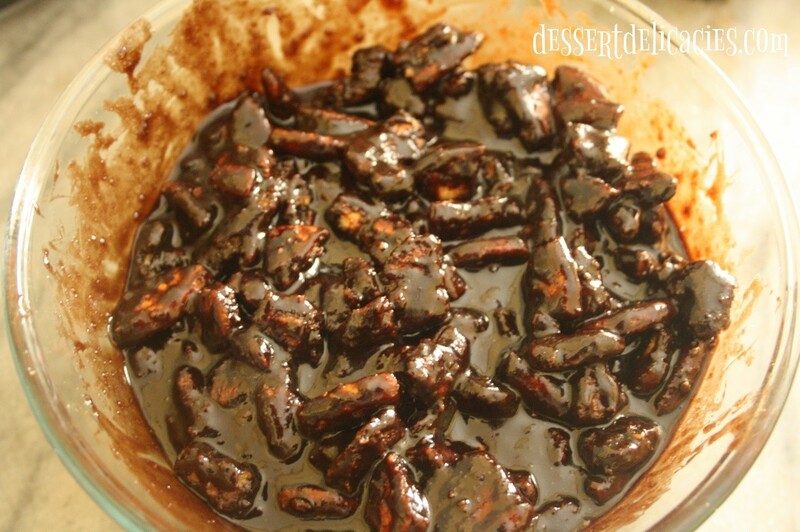 Refrigerate for at least4-5 hrs. Once set, the cake can be easily separated from the spring form tin. Else it might require a little more of refrigeration. Any not so sweet biscuit could be used for this recipe, since the end result is going to be sweeeet. The whipped cream should be just heated. It will split beyond this point. This cake cannot be made in a normal cake tin since it cannot be demoulded upside down. So need to use a spring form cake tin or a base separable tin. 1. Roughly crumb the biscuits. 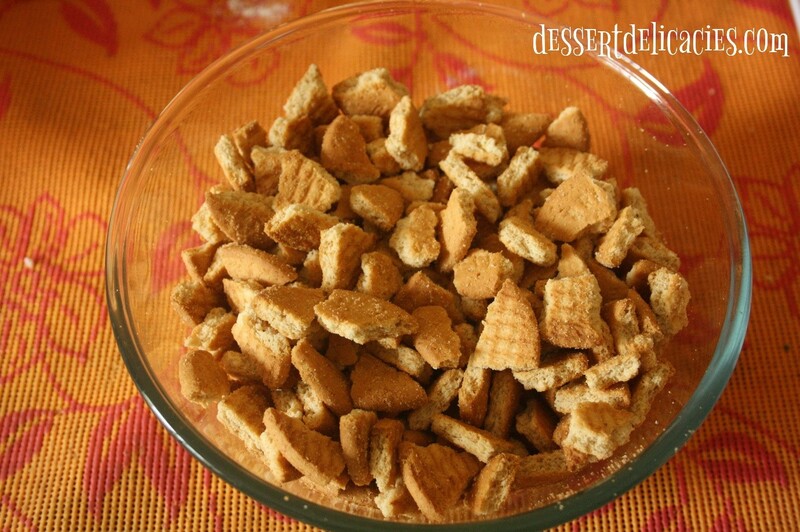 Do not powder them since we need the biscuity crunch in our cake. 2. Mix sugar, cocoa powder and water and whisk till there are no lumps. 3. Add butter to the sugar-cocoa powder mix and boil this for about 5 minutes. 4. 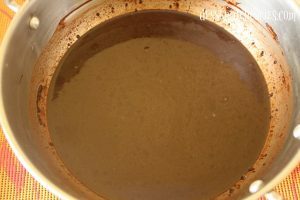 Take the pan off the heat and let the mix cool to room temperature. 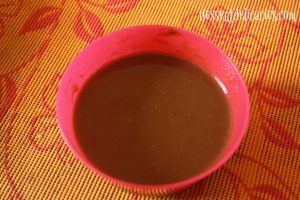 Now pour this on to the biscuit crumbs and mix well such that all the crumbs are well coated with the sugar-cocoa- butter concoction. 5. 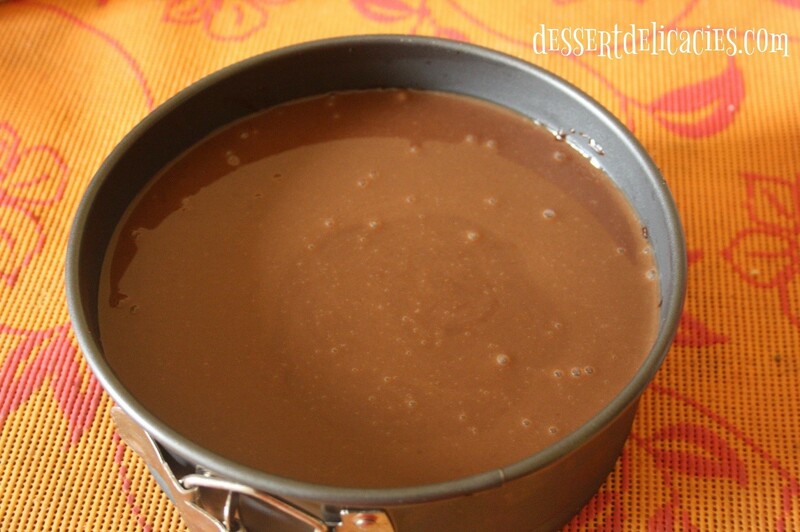 Transfer the contents into a spring form cake tin and level the surface. Refrigerate for an hour. 6. 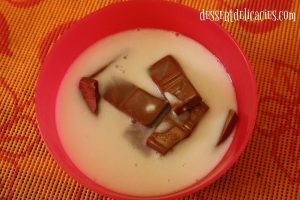 Now take the Chocolate bars in a bowl and melt them in hot whipping cream. 7. 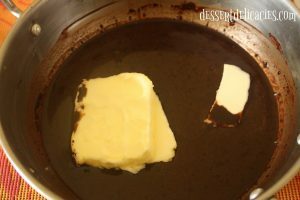 Pour this chocolate mix on to the biscuit surface and refrigerate for 4-5 hours or till the cake holds shape. 8. Once set, Ice the cake with whipped cream or buttercream frosting. 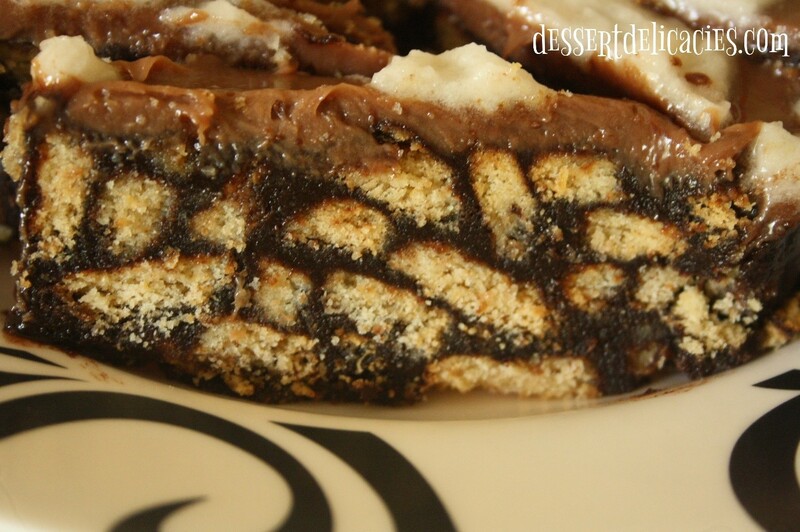 This cake cannot be made in a normal cake tin as it doesn’t demould as normal cakes.It doesn’t retain its shape like a normal cake since biscuit is one of the major ingredient here. On the plus side I can say such cake tins are easily available in all super markets. 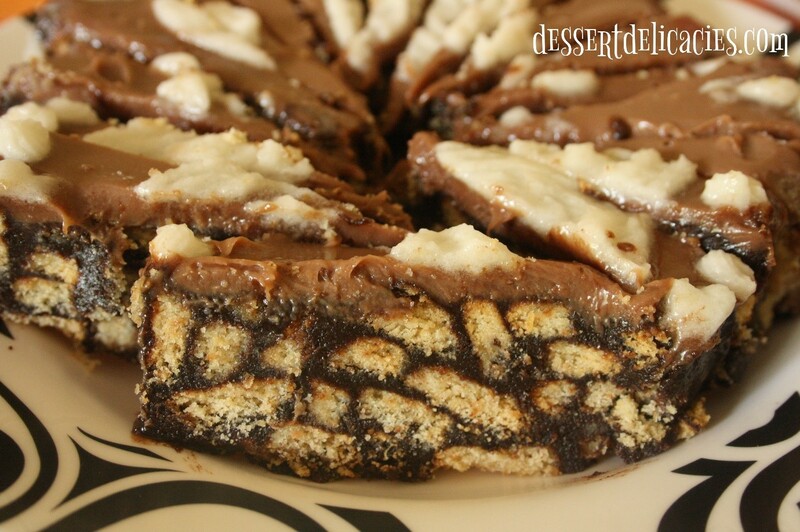 Even no-bake-Cheese-cakes can be made only using the spring-form cake tin. Whipped cream powder is readily available in the market. You could very well use that. Whipped cream powder by “Blue Bird” is a very good product. Thanku Kavya… frosting is just an add-on..tastes good even without it. 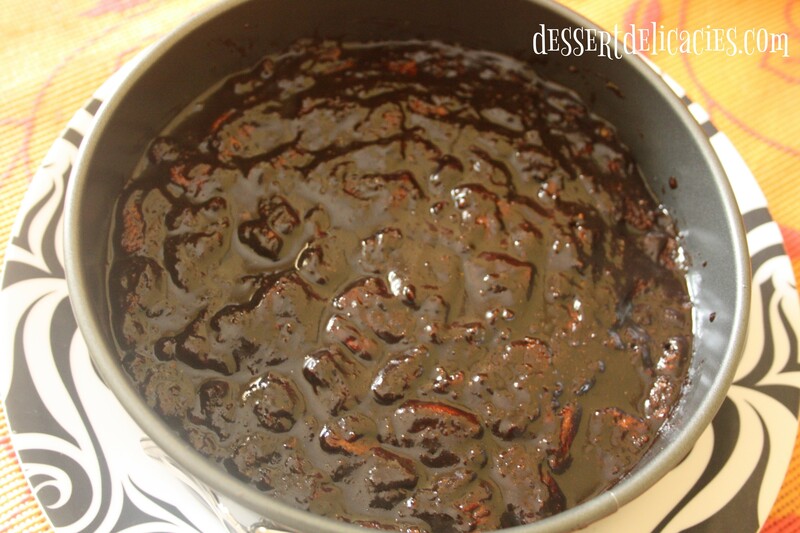 Would love to see how your cake turned out..happy cooking…? ?